For those of us that upgraded our TVs this past year to watch the Big Game and international sporting events, we noticed that something was missing. What was missing was rich deep bass and an auditory experience that could put us in the stadium with the fans. 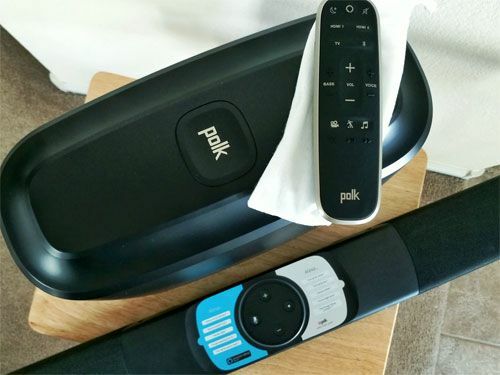 Polk Audio kicks up the bass with its new Command Sound Bar, 260W of total power, wireless subwoofer and Amazon’s Alexa voice-activated smart home technology, available now from Best Buy. Polk, a known maker of quality audio equipment, has created a kit for the home that is both simple and fully featured. Most of us want high-quality sound without having to also buy multiple cables and hire an expert to attach and tune everything correctly. The included wireless subwoofer has been pre-connected to the Command Sound Bar at the factory, which makes everything plug and play. 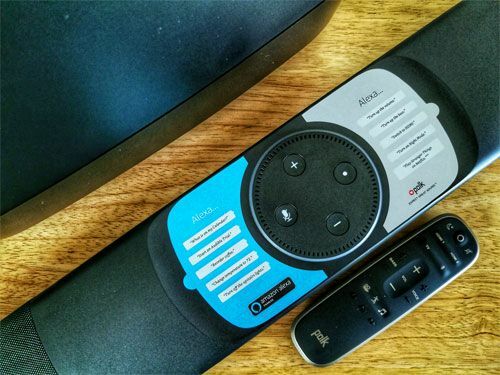 I had it all setup within 10 minutes, including adding the device to my Alexa app on my smartphone. Once it has a secure connection to the home Wi-Fi network, it then can discover other smart home gadgets like Belkin WeMo wireless switches and smart door locks. Amazon’s Alexa has been added to devices from microwaves to smartphone car chargers. Some of these, like the Polk Audio Command Sound Bar, have small limitations due to what Amazon currently allows third party gadgets to have access to. Fortunately, a large majority of these extra features, that the Echo has, are coming in future updates. One feature I noticed which was not ready was room to room messaging. 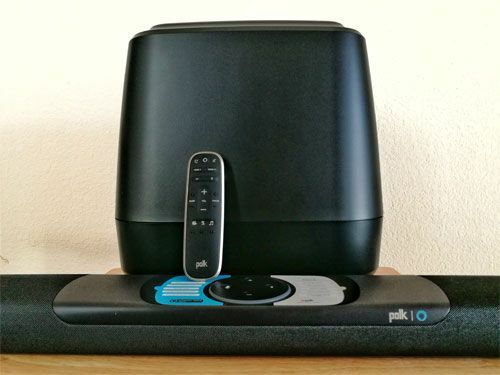 I enjoyed that my experience with movies, TV series and Bluetooth connected audio streaming devices have all been impressively upgraded with a sound bar and subwoofer. 260W of total output power pumps out high-quality sound, which is very important to me, as I have also installed a powerful sound system in my vehicle. Controlling my smart home gadgets is equally as enjoyable with the Command Sound Bar as it has been with Amazon’s Echo. I moved my other Alexa-enabled speaker to another part of my home. Reducing the number of remote controls I need is possibly one its best features. 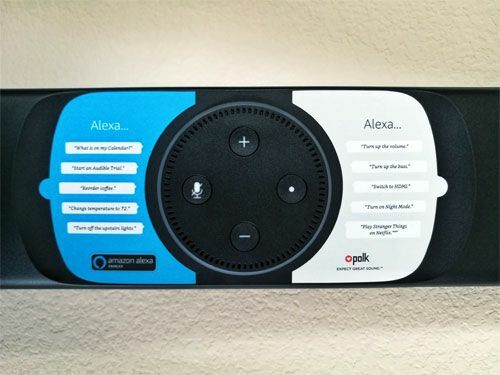 If the Polk Command Sound Bar is far away from a room that you might need an Alexa enabled device to hear requests, adding an Amazon Dot would be a good idea. The only hiccups with the sound bar I had was with its listening capabilities. This was probably due to my having the volume up beyond what it should have been, as I like to feel movie soundtracks. From what I have experienced with my Echo, it has continually been improved in the background from software updates on the device and in the Amazon cloud. I expect the same to occur with the Command Sound Bar. Placing it below the TV on a table or mounting it on a wall gives this sound bar versatility that other more complicated home audio solutions do not have. Its 2” design is enough to leave a small gap between where my TV is in my living room. A pair of HDMI ports on the back, a slot for an Amazon Fire TV unit (some may not fit), a USB port, and an HDMI out for the TV, all help to keep down on cable clutter. Polk placed the tweeters in the sound bar at either end with the more powerful center channel drivers in the middle, where they belong. Most audio from movies and TV shows are center channel heavy. This single sound bar can process Dolby/DTS surround-sound and it produces an impressive home theater like experience. I am happy with both the audio and Alexa voice assistant experiences. Getting them to work correctly on the first try was impressive. Polk understands how consumers want to keep things simple. They have identified pain points, like connecting a wireless subwoofer, and pre-configured this at the factory. 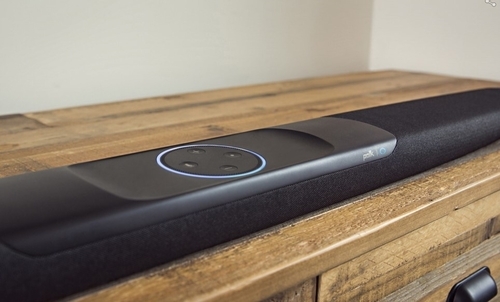 I look forward to the Command Sound Bar evolving to connect with future smart home devices and online services.